The medical approach of the twenty-first century brings the association between the molecular and clinical diagnosis, for an effective plan able to intervene on the organism in a personalized way. Now available to the public, the advanced and innovative tool of molecular medicine in the hands of the specialist (Doctor / nutritionist): the cell membrane lipidomic analysis FAT PROFILE®. 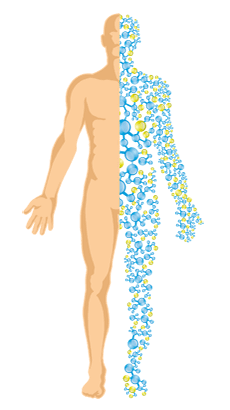 In case of illness/diagnosed disease it is essential to examine the molecular asset, in particular the membrane lipidomic profile of each person; FAT PROFILE helps to formulate the customized strategy to analyze and intervene in the specific health condition, in order to combine intervention with a nutra-strategy in synergy with the drug or dietary therapy. Customize the nutraceutical and food strategies to recover the unbalance and the membrane function, in combination with the medical therapy. …and more generally to set a food strategy and nutraceuticals to support quality of life in numerous health conditions. 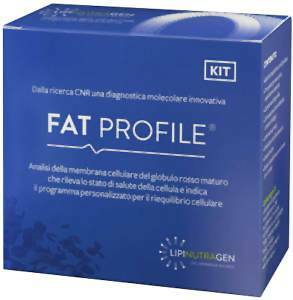 The FAT PROFILE lipidomic analysis is available from Doctors, clinics and medical centers, laboratories, properly selected and trained on the national territory (in Italy). It is required to fill out a questionnaire with medical history and dietary habits, adding a simple venous blood withdrawal from the forearm or a finger (500 microliters / 20 drops). The material needed to perform the analysis is contained in a single-use kit. Fasting not necessary before analysis. A dedicated courier will hand over the sample to the lipidomic laboratory authorized ASL (Health Aut. PG 263274 08/11/2012), where the analysis will be carried out by a reliable and repeatable analytical protocol with an automated procedure by a robotics (exclusive by Lipinutragen). Lipinutragen will send, at most within 10 working days, the analysis report to the specialist, who will contact the patient for the discussion of FAT PROFILE analysis. Thanks to FAT PROFILE lipidomic analysis, the cell membrane molecular condition is established. If the result shows an unbalance, it is important to start and follow the customized rebalancing plan, lasting 4 months. The plan consists of: dietary suggestions for a healthier choice of foods, and a customized nutraceutical supplementation. These suggestions are received only at the referring specialist, who will decide which therapy indicate, having under control the whole pathological situation. The customized rebalancing plan is not a substitute for the medical care, advice or treatment prescribed by a Doctor. The FAT PROFILE DERMASTRESS lipidomic analysis is the cell membrane molecular check-up specific for the skin care and mucous membranes. 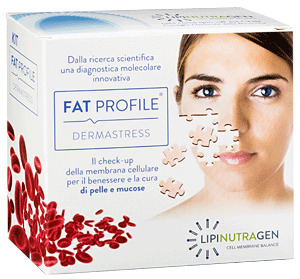 FAT PROFILE DERMASTRESS is the advanced and innovative tool of molecular medicine in the hands of the specialist in dermatology and other medical specialties related to the skin care and mucous membranes.